Giving @booster A Shot. The Randowhale Killer ? 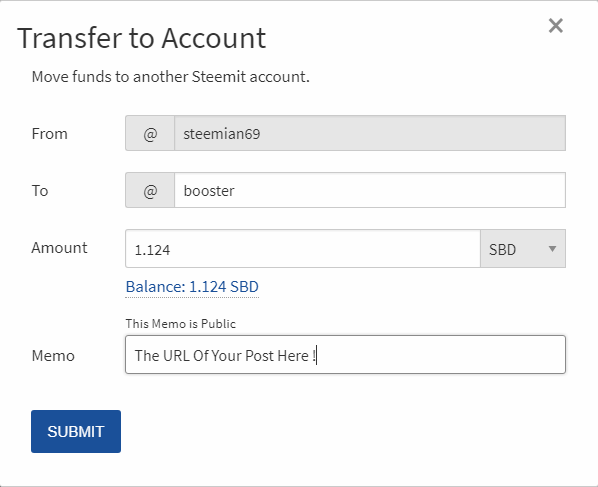 So basically this is a voter bot similar to randowhale but the amount you send is going to be your % of the total amount sent to @booster in the last 2.4 hours, meaning isf you sent 1SBD and in the last 2.4 hours @booster recieved 100SBD the bot will Upvote your post with 1%. This post has received a 1.00 % upvote from @booster thanks to: @steemian69. Thanks for informing us! I gave it a try or a test run I should say. I don't have a lot of SBD to play around with yet but we'll see what happens :) Resteemed!